I am a happy go lucky person with lots of energy.I have 18 years experience of being a nursery manager. I have been in childcare since 1996. I work with children from aged birth to 18 years old in various organisations such as home start, social service etc. I am a mature reliable person who is confident and enjoys when I see children learn and excel. I also do supervised contact with social services. 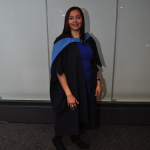 I have a BA Hons in Early Years which I completed in 2014. Numerous years experience in childcare working as a Nursery Manager with children from birth to 5, Plus older children up to 18 years old in various organisations.I am a mature person who is trustworthy and will ensure I take good care of your child/ren providing them with a fun filled time with me. I can confirm I speak and understand English to a high level. I am available for; MAY HALF TERM HOLIDAYS, AND SUMMER HOLIDAYS,DAYS evenings nights, sleep ins etc...IN EMERGENCIES also catered for, few hours tutoring/nannying/mothers help such as helping with bottle feeding, bathing and child development. speech and language. I have experience with twins. Then weekends for tutoring children under 10 years old that may need help with fine motor skills, homework e.g, spelling writing reading maths. nanny/babysitting. I have experience with special needs, autistic/non verbal children, young babies, twins. supervised contact.overnight stay, emergency ad hoc. I can also assess and help your child/ren with support to getting into private schools and writing the reports this is for under 6 years old ONLY. £20.00 per hr (This can be negotiable with you.) special rates for sleep overs etc. depending upon amount of children. Special needs experience £20.00/25.00 per hour.-for 1 child. I can accommodate emergency childcare-prices to be negotiated. I am a mature and very experienced nanny/childcare practitioner who has experience with children from birth to 18 years old. I also have special needs experience, & experience with twins. Below are the latest reviews for charmaine. Please note that reviews represent the subjective opinions of other Childcare.co.uk users and not of Childcare.co.uk. Parents must carry out their own checks and references on childcare providers to ensure that they are completely happy before enaging in the use of their services. We have an 8 year old non-verbal autistic child. Charmaine has been looking after him on every Saturday since July 2017. She is a reliable, loving and hardworking special needs nanny. She has a very good understanding of various special needs of our child and she is warm and responsive to our child. Sh has always brought a professional and organized approach and our child likes her very much. I would highly recommend her as a special needs nanny. Charmaine has been tutoring my son who has speech delay for the past 1 year .. he is 4 years old now. She's helped him with the following : fine and pincular motor skills - ( rolling pin , using scissors, threading and holding a pencil with a firm grip) , Phoenic sounds, recognising numbers, reading,potty training etc. She's helped him with listening , focussing and attempting to for longer periods of time . We've moved but because we've been unable to find a tutor like Charmaine I've decided to travel to make sure Harrison can continue to see her. I highly recommend her she's fantastic! Thank you for your kind words I enjoy working with you and your your family and your son is a delightful boy who I enjoy working with and seeing him progress. I will continue to work with you all, until you find a suitable tutor in your area. Due to a change in work commitments, my husband and I were in urgent need of a nanny to care for our 10 month old son early in the morning before nursery followed by dropping him off shortly after. We were delighted to have found and met Charmaine who immediately came across as professional and positive during our introduction at home and at the nursery. She made regular contact with us which put us at ease considering this was the first time we were leaving him alone with someone other than ourselves. This job was for only a few hours, early in the morning and at short notice, but in spite of this Charmaine really went the extra mile. She arrived on time and even earlier and was very helpful with feeding, dressing and playing games with our son. Charmaine gave us a good feeling from the start and on day 3 it was obvious from our son’s smile that he was happy too. We would not hesitate to use her again in the future. It was a pleasure working with you and your son, I look forward to working withyou again..
We had to find a nanny at short notice to care for our 2 small children whilst we did a weeks trip abroad. As soon as I met Charmaine I knew that she would be great. She made sure that she met the kids on several occasions before the job started, understood their routines and what they liked and met their teachers. She was really well prepared, and extremely experienced. She messaged me everyday while we were away and made sure the children contacted their grandparents daily too. She did their after school learning with them, and maintained their routines. She also did their washing and ironing, which was a huge bonus. I would absolutely recommend Charmaine and we will definitely be asking for her again and ongoing. Kids are talking about her all the time, which is great. I am so pleased with how it all worked out.